Fortunately, Somaliland’s government received extremely wide support from its own political community, including a change in its nations legal code, in order to do so. For those citizens who do not agree with or understand why it was important for Somaliland to participate in an international conference, and why it will continue to be necessary, it is first necessary to understand what it is that Somaliland and its people seek with recognition, and what that means. When a nation is recognized, it has seats on international boards and it participates in conferences on a regular basis. 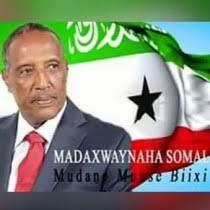 This would mean, of course, that when Somaliland receives the recognition of its independence by the international community, and takes its rightful seat on the African Union and United Nations and other communities, that it will have to deal with the representatives of Somalia on a regular basis. Likewise, Somaliland will have to come to terms with Somalia concerning border, shared security concerns, and trade relationships. Certainly Somalia has no proper government at this point and therefore cannot enforce the agreements it makes, but regardless of this fact, Somaliland is going to have be able to relate to Somalia as an equal independent state, indeed, as one with a better claim to rule, before it is going to be accepted as a full member of the international community. It will have to do so on matters great and small, be it soccer games sanctioned by FIFA, or agreements about anti-piracy efforts, or free trade agreements, or reparations for war damages (or forgiveness of such debts). Just like the former nations of Yugoslavia have learned how to deal with each other (except in the case of Kosovo), the same will eventually be true of Somalia, no matter how many parts Somalia eventually breaks into (Puntland is a potential nation as well) before it can achieve some sort of sufficient cohesion to be a genuine state. It’s good to see that Somaliland is starting to practice itself for this task. The London Conference was a necessary beginning, but only the beginning of this process by which Somaliland becomes more visible through open and public participation in the international arena, making its case clearly and making it clear that it merits recognition. Germany’s military, with the permission of the European Union, has moved in an aggressive way against pirates by sending out submarines to destroy the infrastructure and logistics of Somali piracy by taking out ships and bases . This is an intensely provocative action, which has prompted some criticism from the more pacifist elements of Germany’s political establishment. Nonetheless, Germany’s aggressive move against piracy makes sense from a geopolitical standpoint. Even though Germany’s military is smaller now (about half the size) of its size during the Cold War, proportionally it is a vastly greater power, especially as the United States is in a mood to retrench. If the Indian navy is powerful enough to project itself into the Gulf of Aden as a military power, Germany certainly has the strength to do so, as a sign that Europe intends on taking a key role in ensuring that trade through the Suez Canal is not hindered by pirates’ nests. We ought to assume, therefore, that the Germans are dead serious about destroying pirate bases on the shore of Somalia (especially in Puntland), as well as in destroying pirate ships that threaten global trade through the Gulf of Aden into the Suez Canal and then Europe. By making this intent very plain and open, Germany is inserting itself into a complicated scenario that includes the American navy, China, India, as well as the United Arab Emirates, all of whom have their own goals and interests in ensuring trade for their own economic benefits. All of this serious cooperation suggests the vital geopolitical importance of Somaliland’s location. Obviously, if Somaliland were granted international recognition it would be able to arm itself and make its military bases. At that point bases like Zeila and Berbera would become major assets and logistical points in the fight against piracy. But Germany’s actions signify a renewed seriousness among Europeans, Germans in particular, to rid piracy by military means, and this means war against Somalia’s pirates. Let us see what results from the war, though, to see if Germany’s efforts are merely the start of a more bellicose defense of its economic interests around the world.